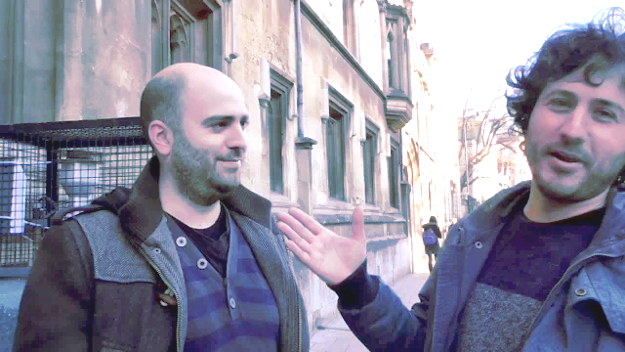 Oxford City Council's Air Quality Officer Pedro Miguel Rocha e Abreu (left) and Dario Salvi (right) in Oxford's High Street (January 2018). 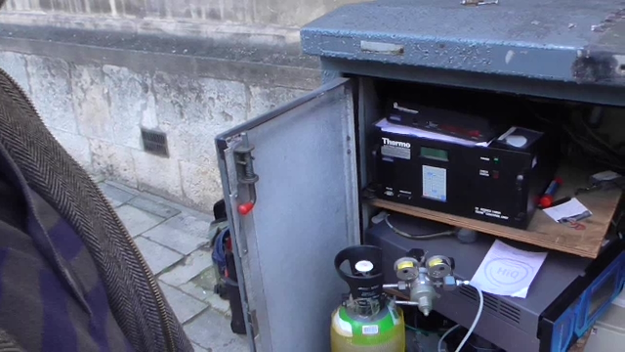 Top instrument (black box) is a particulate monitor (PM10) and underneath is a NOx monitor (blue box). 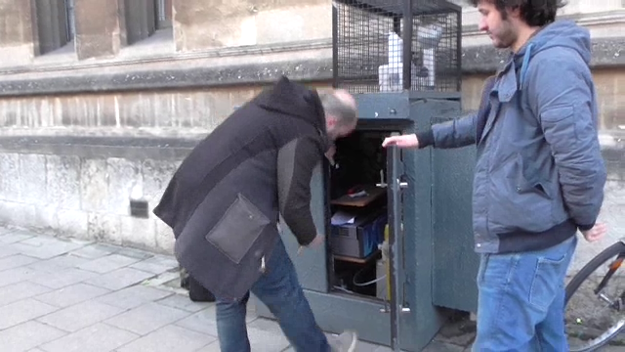 Oxford City Council's Air Quality Officer Pedro Miguel Rocha e Abreu described the contents of the roadside air quality monitoring station. The interviewer is Andrew Wood, Network for Clean Air.